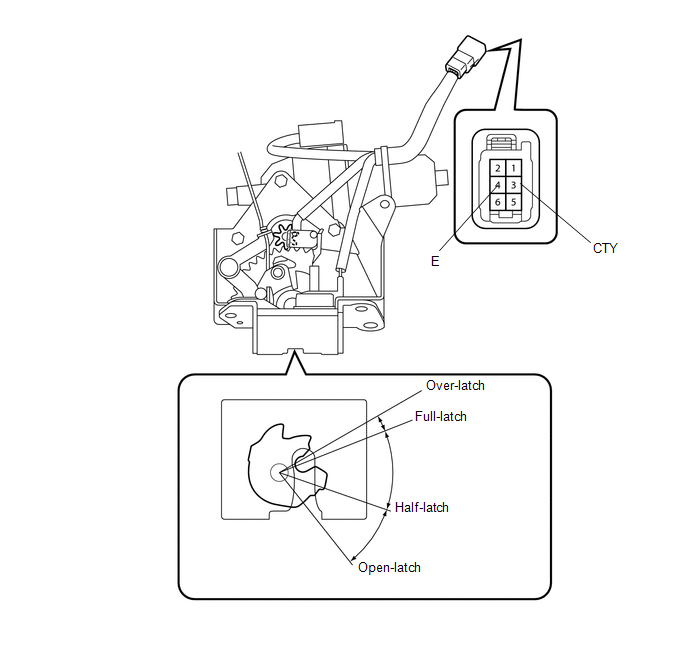 The main body ECU (driver side junction block assembly) detects the condition of the door courtesy light switch. (a) Remove the courtesy light switch (See page ). 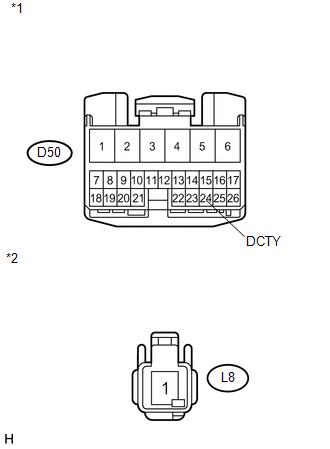 (1) Disconnect the D50 main body ECU (driver side junction block assembly) connector. 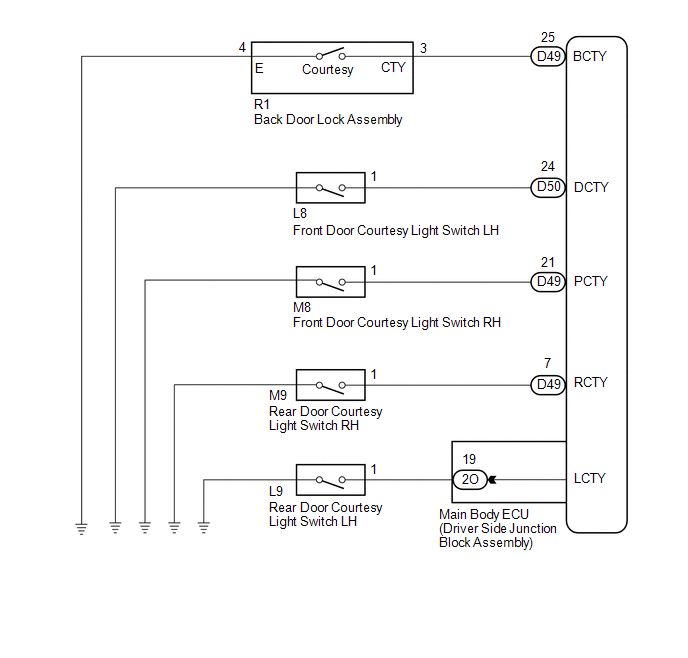 (2) Disconnect the L8 courtesy light switch connector. 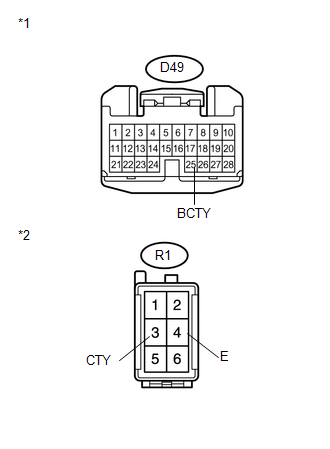 (1) Disconnect the D49 main body ECU (driver side junction block assembly) connector. (2) Disconnect the M8 courtesy light switch connector. (1) Disconnect the 2O main body ECU (driver side junction block assembly) connector. 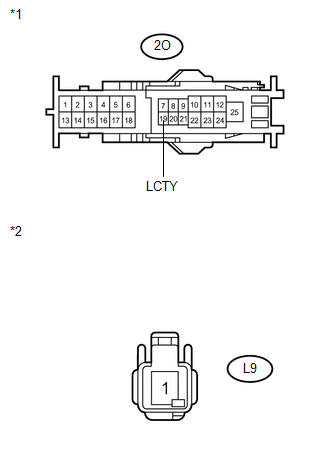 (2) Disconnect the L9 courtesy light switch connector. 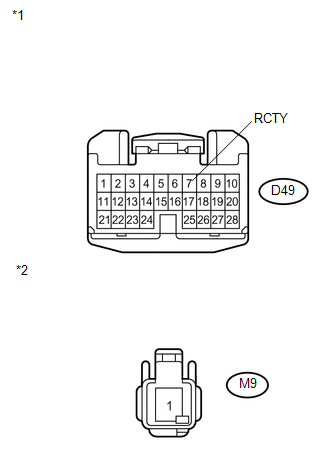 (2) Disconnect the M9 courtesy light switch connector. (a) Disconnect the D49 main body ECU (driver side junction block assembly) connector. (b) Disconnect the R1 back door lock assembly connector.